We all know the customer is king. It’s an adage by which retailers have lived and breathed. In times past it meant doffing our cap and greeting our shopper by name. Now technology is breathing new life into customer insight, enabling a growing degree of personal service, expressed in new ways and delivered through the cloud. Retailers are again getting to know our customers as individuals – and it’s something we applaud! But are we creating hidden risks by not doing the same for our employees? The boom in personalisation, clienteling, customised delivery and other modern retailing ideas proves that e-commerce and traditional retail brands alike know just how vital it is to put the customer at the heart of everything. Retailers make every stride to put the customer first. Yet simultaneously, there have been many recent rumblings about UK retail worker/employer relationships. One major supermarket hit the headlines around age and gender pay, a major online fashion retailer had to defend itself against warehouse working conditions, while the travails of a well-known sports retailer has brought unionisation issues front of mind for many brands. Recent retail employment research in HR Director magazine suggests that high turnover in retail employment may be impacted not only by salary but also by management recognition and treatment. It is entirely possible that by failing to engage and build great relationships with employees, retailers are compromising the very investments they are making to help them put customers first. As we invest to inform and understand customers better, are we forgetting to inform and understand employees? Are the demands of competitive differentiation, profitability, and need to deliver ever faster and more flexibly to customers simply crowding out the needs of the staff on which we depend? Reputation – whether you have hundreds or thousands of employees, each one of those talks to family and friends about their employment experience from time to time. A bad day at work or a cathartic sounding-off about a bad boss can quickly be shared with hundreds of social friends – with an ever-present risk of going viral. Each is a brand ambassador that you neglect at your peril. ROI – it’s all very well investing in an all-singing, all-dancing retail information system that supercharges the checkout, or to equip in-store representatives with tablet-based apps, but your return on that investment could be affected if the till operator or store rep is disenchanted. The take-up of new technology also depends very much on building appetite and supporting staff onto new systems to get the maximum benefits. Reactions – the employment experience is transmitted to your customers by staff through the look on their face, their speed of response, the tone of their voice and the service they provide. It doesn’t matter if they are customer-facing. Sluggish warehouse teams and slow, disinterested administrators directly affect your fulfilment speed and whether you keep brand promises. In today’s retail business, maintaining brilliant brand experience for customers depends on every interaction being easy and effortless. Success rests not just on the platforms we choose or the technical ease of interaction, but on the people interactions and perceptions that come along with that. Welcome 360 Degree Conversation – the enthusiasm of engaged employees is palpable for customers. Engagement comes from a sense of valued purpose and community – which is challenging when staff are distributed across outlets, offices and warehouses. Employers can engage through the provision of platforms that give employees a voice and make it easy to share ideas and offer feedback. Engagement is infectious– so a trusted community is key. Communities of employees are springing up in many companies, extending into partner networks, and even enabling direct engagement with customers. It is supported and sustained by the informal chatter that internal social networks can engender, as well as through real-world events. Develop and Empower Through Knowledge – employees need to understand customers at a deep level: they need rich and up-to-date customer information at points of interaction such as in the call centre or on the shop floor. They must be knowledgeable about their company too: a culture of greater transparency helps sustain a positive employee experience. It can range from ensuring regularity of management communications to making information more available on demand through apps that workers can access via mobile devices. Provide Soul, Not Just Salary – all sorts of things go wrong when employee expectations and employer actions don’t meet in the middle, and that includes communication and information expectations. Today’s workforces are comprised of mobile and connected individuals well used to the ease of interaction they have with their own brands. They expect the same from their employers, who need to pay as much attention to the timeliness, responsiveness and flexibility of service they deliver to staff as they do to customers. With high employee turnover an inescapable challenge for some parts of retail, factors such as enablement, a sense of trusted community, and personal development are the keys to keeping ahead. If retailers are to reap all the rewards that we seek from business transformation and digital technology, it may be time to revisit the needs of employees as critical enablers of the customer experience. 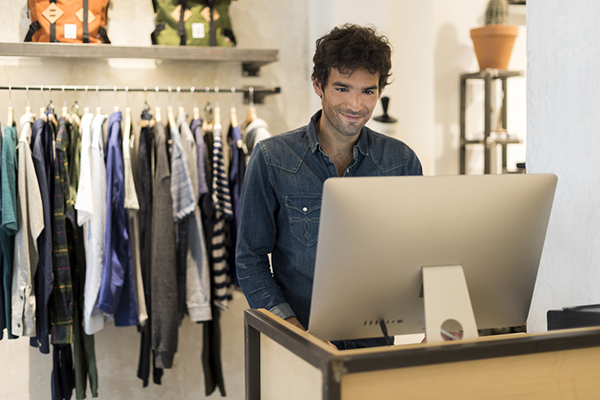 Modern employee relationships for retail require a new approach, and an investment as serious as the customer experience. One thing is clear: creating the platforms and processes that help create an informed, committed workforce is as deserving of effort and investment as is the challenge of engaging with customers. In our recently released Connected Shoppers Report, we found that 44% of consumers feel they know more about a product than the store associate - that doesn't sound like retailers are engaging efficiently with their employees. Download the report for more actionable insights.